Poor old Graham... how I love thee. As one can probably guess from how often he seems to crop up on this site, I'm rather fond of Mr Coxon here. 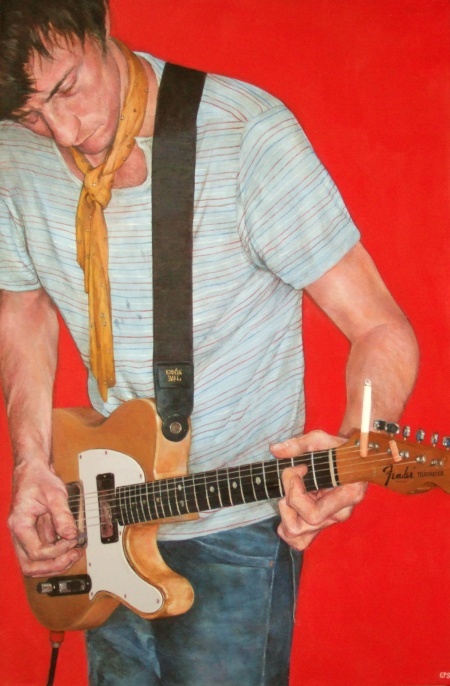 Anyway, I was lucky enough to see him play a small gig in aid of the Asian Tsunami crisis in January 2005, and the result was this painting.